With Total Materia, finding information about an aluminum standard specification, its current status and the materials it defines is one click away. By simply selecting a Standard Development Organization (SDO) and/or typing the standard or ICS (International Classification for Standards) number, you will receive immediate results from the multi-lingual database with over 52,000 standards. 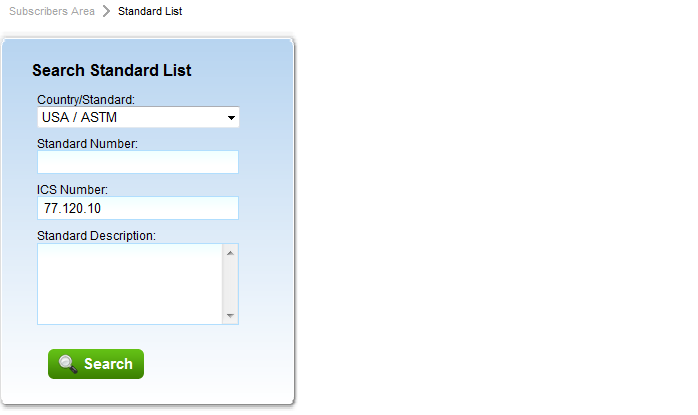 For example, to find an ASTM aluminum standard 77.120.10, you can simply type 77.120.10 into the ICS number field and select ASTM from the popup. 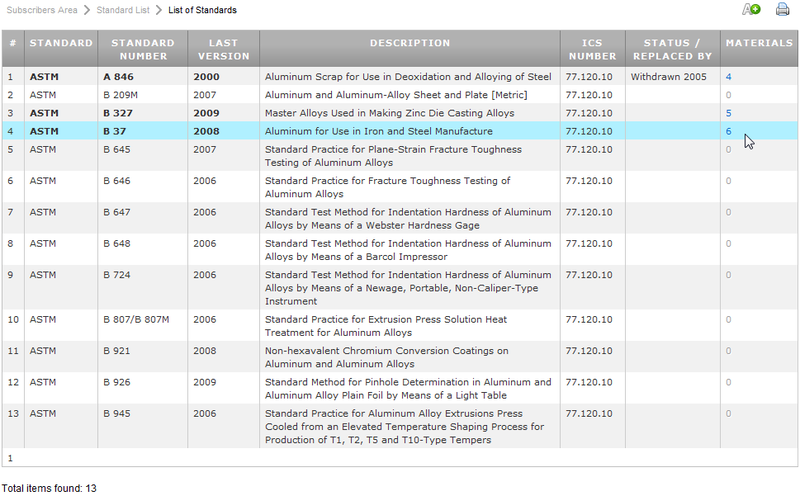 The result list consists of 13 ASTM aluminum standards that comply to the ICS number 77.120.10. The information includes: standard description, year of last issue, current status (valid, replaced etc) and a hot link to the materials defined by this standard.